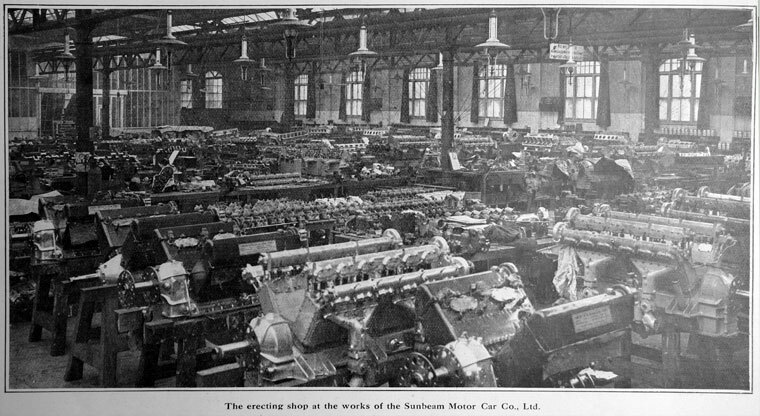 Sunbeam Motor Car Company of Wolverhampton was a manufacturer of cars, buses and engines. 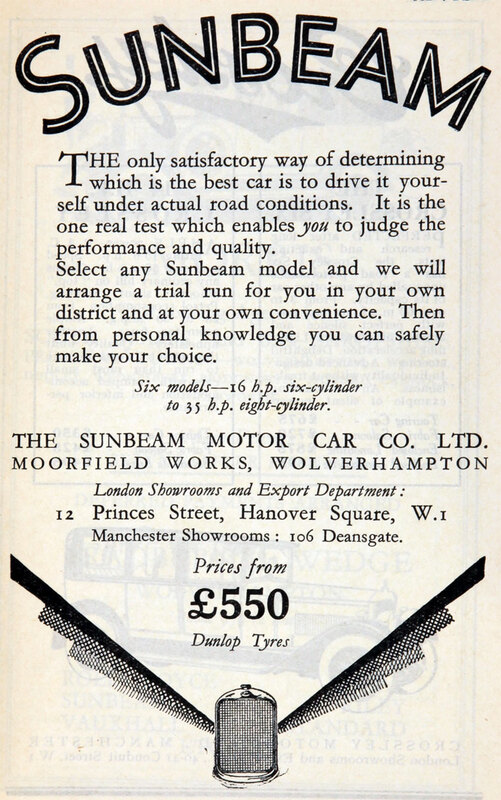 For description of Sunbeam bicycles and motorcycles see John Marston Ltd.
1905 January. 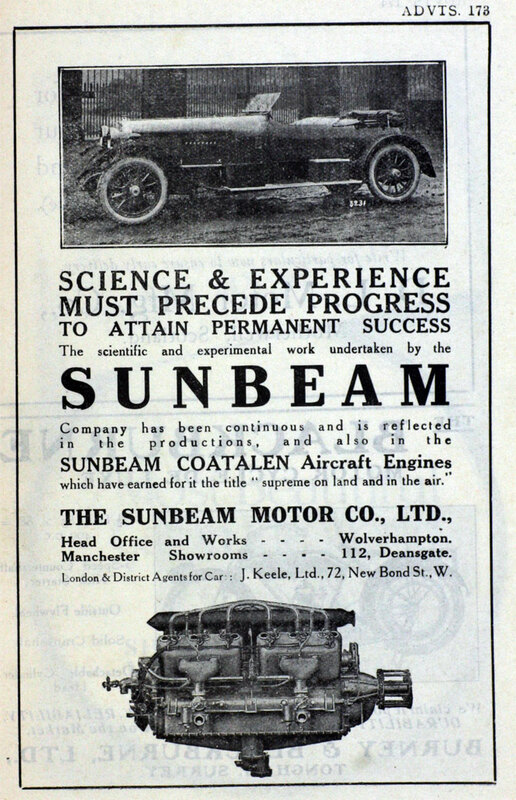 The Sunbeam Motor Car Company Ltd was formed to focus on car production of John Marston Ltd, as distinct from its interests in the production of cycles The first directors were John Marston, Edward Deanesly, Samuel Bayliss, Thomas Cureton, Henry James Bath and Herbert Dignasse. 1909 Sydney Slater Guy was Works Manager. Louis Coatalen joined as Chief Engineer. 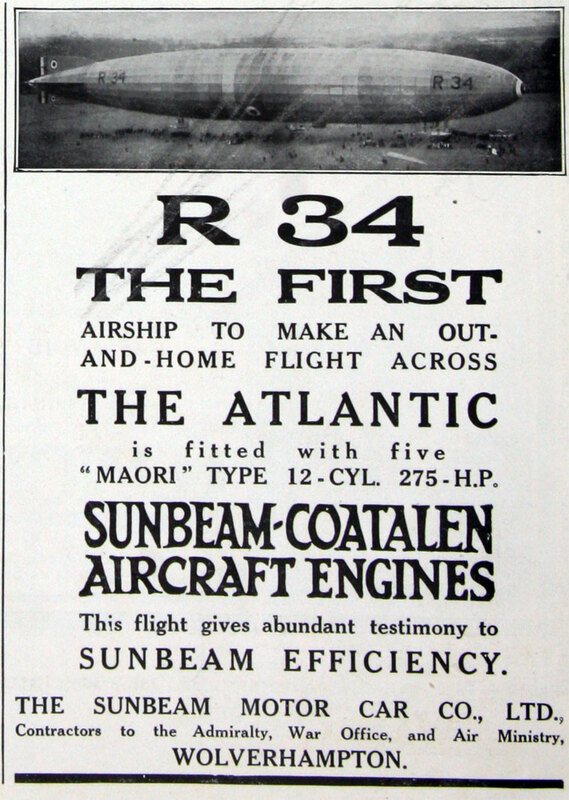 1917 John Samuel Irving joined as Chief Engineer from the Royal Aircraft Factory. 1918 was a very tragic year for the Marston family. Firstly, the eldest son died, followed by his father the day after the funeral and his mother a few days later. It was to affect the firm deeply. c.1920 Facing a claim for death duties arising from the death of his father, Charles Marston sold his shares in John Marston Ltd. The company entered the new decade in the control of others, John Marston Ltd being acquired by Kynoch, part of Nobel Industries, in 1920. 1924 Dario Resta was killed at Brooklands driving a Sunbeam GP car. 1927 The Moorfield Road site was now some thirty acres and the company employed around 4,000 people. This page was last edited on 10 April 2018, at 08:25.